Dr. Shanda Fuller graduated from Palmer College of Chiropractic West, in San Jose, California. She is originally from Pueblo, Colorado. Dr. Fuller and husband Scott have a daughter Calyssa and son Colin. Dr. Fuller has extensive training in the cause, prevention, and treatment of nerve, muscle and joint conditions. She practices chiropractic care incorporating full body adjustments and therapies. By utilizing these techniques, Dr. Fuller has helped many people live pain free with increased flexibility and optimal health. She treats all members of the family, from children to seniors, and enjoys treating athletes. 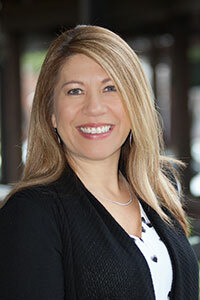 As an active member of Business Network International (BNI) in Danville and Diablo Valley Moms Group, she stays very involved in the local community. She is also a member of the California Chiropractic Association. Email Dr. Shanda Fuller at drfuller@sycamorevalleychiropractic.com or contact us today for an appointment!